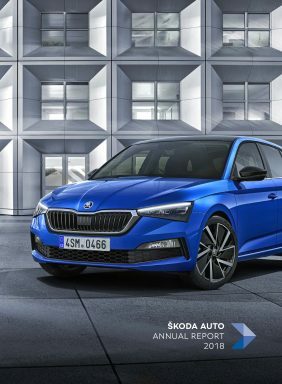 Mladá Boleslav, 18 March 2019 – On Monday, the second colloquium for the ‘Future Pact for the Czech Automobile Industry’ took place at ŠKODA AUTO’s company headquarters in Mladá Boleslav. At the invitation of the industry association AutoSAP, Prime Minister Andrej Babiš and other senior members of the Czech government met with ŠKODA AUTO CEO Bernhard Maier and other representatives of the car manufacturer. Alongside union representatives, representatives from the automotive, energy and telecommunications sectors, experts from abroad as well as representatives of local authorities, academic and research institutions, they discussed the results of implementing a plan of action for the future of the automotive industry in the Czech Republic. The focus was on digitalisation and electromobility as well as smart mobility, investments in education, research and development.